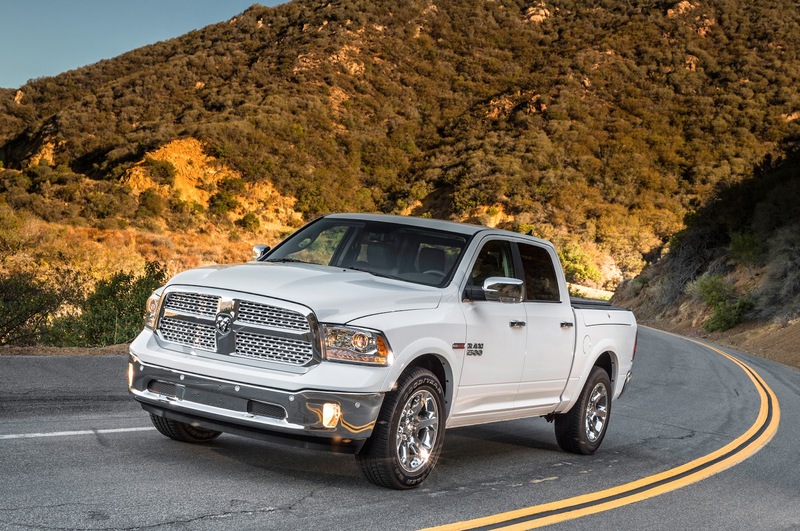 Car and Driver Magazine recently named the Ram 1500 one of 2014’s most improved cars? Since it’s already been named Motor Trend Truck of the Year for 2014 (and 2013, the first ever two-time consecutive winner) as well as Consumer Reports Best Pick, how does it fit into the “Most Improved” category? Simple. Car and Driver touts the expansion of the model to include the Ecodiesel in the 1500 as a glowing option. The Ecodiesel Ram 1500 gets up to 28 miles on the highway, a 3-mile-per-gallon increase over the next most fuel efficient Ram, a 12% increase. Compare that 28 mpg to the Chevrolet’s 23mpg and the Ford at 22mpg. Find your savings in fuel with this handy tool. If you drive 70 miles per day, in one year you’ll save an estimated $708 in fuel with the Ram 1500 Ecodiesel versus the Ford F-150 3.5L EcoBoost with V6 engine. The power and towing capabilities of the Ram 1500 Ecodiesel are substantial. A 305-hp V-6 engine with an 8-speed automatic is standard in the model, and towing capacity is 9,200 pounds. Range on the vehicle is also greater. With the Ram 1500 Ecodiesel from Melloy Dodge, you could make it to Los Angeles on one tank of gas. The Ford F-150 by comparison would leave you stranded somewhere in Death Valley-- and no body wants that to happen! Melloy Dodge has been New Mexico's #1 Selling Dodge and Ram Dealer for several years, and we love demoing the Ram trucks. To see the Ecodiesel or any other of the Ram lineup, shop our online inventory or stop by the dealership at 9621 Coors Blvd NW in Albuquerque. We'll be happy to show you all the features of this award-winning truck and do a test drive so you can see its power and handling.